The “Bad Boy of Philippine Cinema” has turned another year older today. Happy 48th birthday, Robin! As he turns another year older today, November 23, Robin Padilla’s closest friends and family in showbiz showered him with their thoughtful birthday wishes on social media. For one, Claudine Barretto, with whom the action star topbilled action-comedy Ooops, Teka Lang… Diskarte Ko ‘To 17 years ago, put up a video greeting to her “utol” on Instagram. “Happy happy birthday! Nagpapasalamat ako sa buhay na binigay sa ‘yo ng Diyos. Dahil sa ‘yo, ang daming tao na nabe-bless, dahil sa ‘yo maraming tao ang napapasaya mo… at nai-inspire mo. Isa ka sa mga mabubuting tao at tunay na tao na nakilala ko sa buong buhay ko,” said Claudine. Kylie Padilla, one of Robin’s children with ex-wife Liezl Sicangco, penned a heartwarming message to whom she looks up to as her “first hero”. “I just want to say thank you for being the greatest papa. You have shaped me, taught me so many important values. So so many memories that I cherish, life lessons that continue to teach me everyday. All thanks to you, pa.
“Let’s continue to take care of each other, of our families because I want so much for Alas and my future children to get to know you. For you to teach them lessons that I can’t. Thank you for being a wonderful father to us your children and a wonderful lolo. I can’t describe how thankful I am. Mahal na mahal kita pa,” wrote the “Encantadia” star. 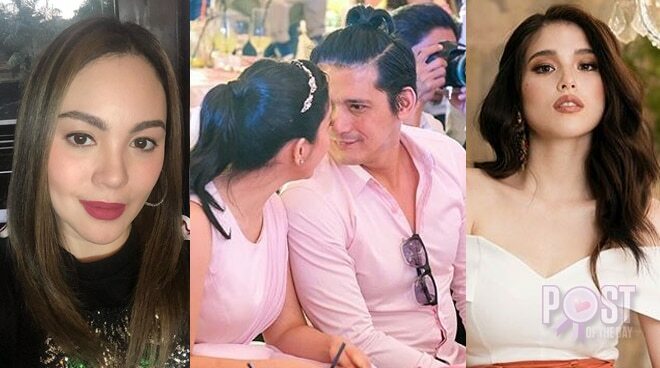 As for Robin’s wife and baby mama, Mariel Rodriguez, pictures are worth a thousand words with her three-part dedication post to her husband.